Whether you’re being interviewed to be an intern or a CEO, you’re going to run into a few notoriously tricky questions–here’s a road map of what you’ll be asked, and how to craft impressive answers to even the toughest questions. No two situations are ever exactly the same, but as a general guide, these are the types of questions that could come up in a typical interview. This question, often the interview opener, has a crucial objective: to see how you handle yourself in unstructured situations. The recruiter wants to see how articulate you are, how conﬁdent you are, and generally what type of impression you would make on the people with whom you come into contact on the job. The recruiter also wants to learn about the trajectory of your career and to get a sense of what you think is important and what has caused you to perform well. Most candidates ﬁnd this question a difﬁcult one to answer. However, the upside is that this question offers an opportunity to describe yourself positively and focus the interview on your strengths. Be prepared to deal with it. There are many ways to respond to this question correctly and just one wrong way: by asking, “What do you want to know?” You need to develop a good answer to this question, practice it, and be able to deliver it with poise and conﬁdence. The right response is twofold: focus on what interests the interviewer, and highlight your most important accomplishments. Do not dwell on your personal history–that is not why you are there. Start with your most recent employment and explain why you are well qualiﬁed for the position. The key to all successful interviewing is to match your qualiﬁcations to what the interviewer is looking for. You want to be selling what the buyer is buying. Have a story ready that illustrates your best professional qualities. For example, if you tell an interviewer that people describe you as creative, provide a brief story that shows how you have been creative in achieving your goals. Stories are powerful and are what people remember most. A good interviewee will memorize a 60-second commercial that clearly demonstrates why he or she is the best person for the job. 2. How long have you been with your current (or former) employer? This is a hot-button question if your résumé reﬂects considerable job-hopping. Excellent performers tend to stay in their jobs at least three to ﬁve years. They implement course corrections, bring in new resources, and, in general, learn how to survive–that’s why they are valued by prospective employers. If your résumé reﬂects jobs with companies that were acquired, moved, closed, or downsized, it is still viewed as a job-hopper’s history. Volunteer and go to events where hiring authorities may be found. Ratchet up your networking to include anything that exposes you to hiring authorities who can get past your tenure issue because now they know you. Your networking efforts have never been so important. An impressive and conﬁdent response shows that the candidate has prepared for the question, has done serious self-reﬂection, and can admit responsibility and accept constructive criticism. Sincerely give an honest answer (but not a long one), be conﬁdent in the fact that this weakness does not make you any less of a great candidate, and show that you are working on this weakness and tell the recruiter how. 4. Tell me about a situation where you did not get along with a superior. Everyone has had situations where he or she disagreed with a boss, and saying that you haven’t forces the recruiter to question your integrity. Also, it can send out a signal that the candidate is not seasoned enough or hasn’t been in situations that require him or her to develop a tough skin or deal with confrontation. It’s natural for people to have differing opinions. When this has occurred in the past, you could explain that you presented your reasons and openly listened to other opinions as well. 5. Describe a situation where you were part of a failed project. If you can’t discuss a failure or mistake, the recruiter might conclude that you don’t possess the depth of experience necessary to do the job. The recruiter is not looking for perfection. He or she is trying better to understand your level of responsibility, your decision-making process, and your ability to recover from a mistake, as well as what you learned from the experience and if you can take responsibility for your mistakes. Respond that you’d like to think that you have learned something valuable from every mistake you have made. Then have a brief story ready with a speciﬁc illustration. It should conclude on a positive note, with a concrete statement about what you learned and how it beneﬁted the company. Describe two or three skills you have that are relevant to the job. Avoid clichés or generalities; offer speciﬁc evidence. Describe new ways these skills could be put to use in the position you are being considered for. 7. How do you explain your job success? Be candid without sounding arrogant. Mention observations other people have made about your work strengths or talents. 8. What do you do when you are not working? The more senior the position, the more important it is to know about the candidate’s qualities that will impact his or her leadership style: is the person well adjusted and happy, or is he or she a company zealot? Discuss hobbies or pursuits that interest you, such as sports, clubs, cultural activities, and favorite things to read. Avoid dwelling on any political or religious activities that may create conﬂict with those of the interviewer. 9. Why did you leave your last position? 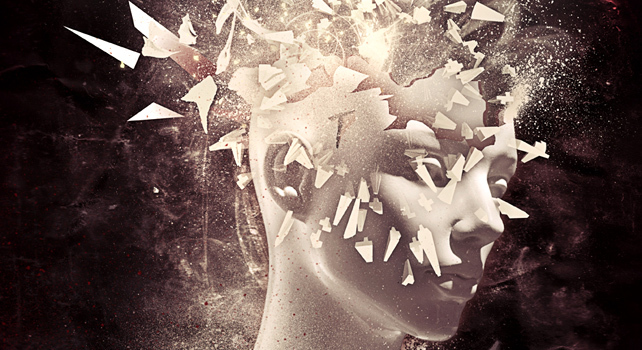 At high levels, issues that relate to personality and temperament become more important than they might otherwise. The recruiter wants to know if you will ﬁt in with the client company. The recruiter may also be ﬁshing for signs of conﬂict that indicate a potential personality problem. Be honest and straightforward, but do not dwell on any conﬂict that may have occurred. Highlight positive developments that resulted from your departure, whether it was that you accepted a more challenging position or learned an important lesson that helped you to be happier in your next job. 10. Why do you want to work in this industry? Think of a story to tell about how you ﬁrst became interested in this type of work. Point out any similarities between the job you’re interviewing for and your current job. Provide proof that you aren’t simply shopping in this interview. Make your passion for your work a theme that you allude to continually throughout the interview. 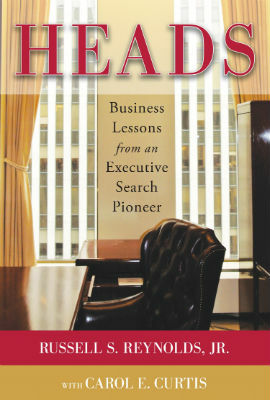 Adapted from Heads: Business Lessons from an Executive Search Pioneer by Russell S. Reynolds, Jr., with Carol E. Curtis, ©2012, McGraw-Hill Professional; reprinted with permission of the publisher.